Create energy pathways to show where our energy comes from. Describe the different forms of energy. Identify ways that energy is converted from one form to another. Determine that sunlight is the primary source of most of the usable energy on Earth. Solar cells convert sunlight to electricity. Sunlight causes wind and rain, powering wind turbines and hydroelectricity. Sunlight provides energy for plant growth. Plants or plant remains can be burned or eaten to provide energy. I have used this Gizmo to introduce renewable energies in a SOSE unit on Biodiversity, pollution and ener... (more)gy forms. This exploration has been modified and formatted for digital completion. Students can complete the guide ... (more)independently or working in groups and submit their work digitally. My students love this format! 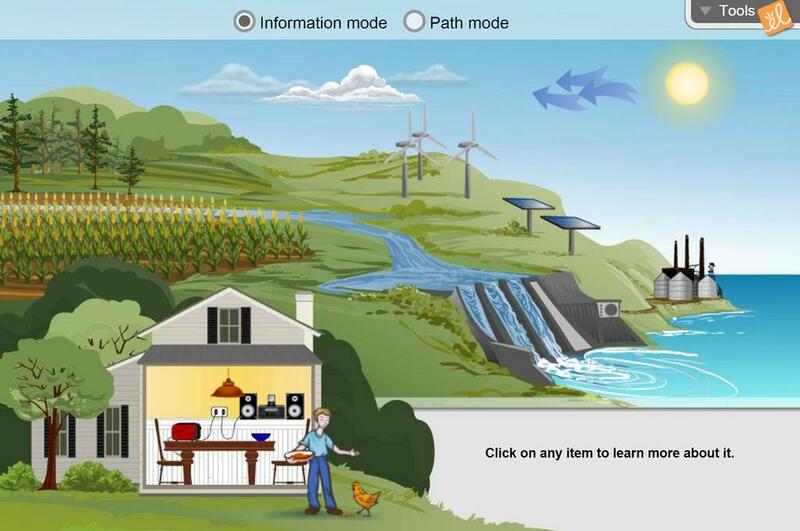 This is a great follow-up project that will enhance their understanding of alternative sources of energy.... (more) This activity allows students to role play and discover the careers of consumers, environmentalists, economists, or scientists by exploring the different types of alternative energies. This is a great reinforcement activity to revisit concepts after direct instruction is given. Great for kids to see the conversions! Great visual introduction to renewable energy and energy paths. Excellent visual representation of energy conversions!